Michael Lynche Oh. I didn't know that he can sing like that. 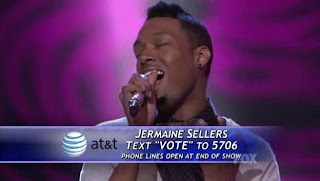 He chose to sing It's A Man's World from James Brown. Oh. Of course la Christina Aguilera lagi best kan as she performed the song at Grammy Awards beberapa tahun dulu. Gila meremang bulu roma okay! 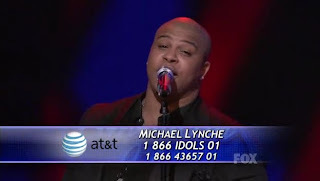 By the way, Michael Lynche ni pun not bad la for a guy to sing this song. Ya. Nice job! 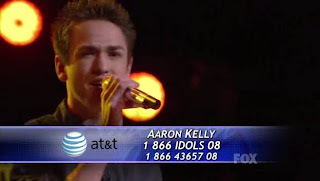 Aaron Kelly Best gak his performance last night. Better from last week. A lot. Ya. Dia dah nampak agak comfortable on the stage. His advantage of course la his voice kan. Smooth je dengar. Oh. After this, please choose lagu yang lebih menarik okay? Huhu. 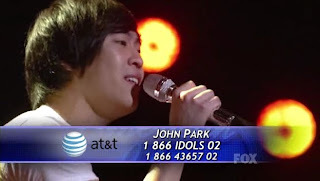 John Park Oh! Aku nak sokong dia coz he's Asian. But, I can't. I'm not racist. Haha. 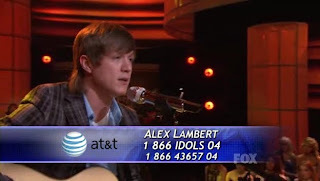 He sang Gravity from John Mayer. Biasa je. Nothing juicy about his performance. Maybe a bit boring. By the way, dah okay la tu dapat Top 20 kan? Bersyukur okay. Haha. but, aku msh sokong andrew. tp, dh msok top 24..